Very helpful when on the phone placing a order with them. Looks good but haven't used them yet. Good according to description and photos,affordable price,fast delivery process,thanks Asiatees. Beautiful body, well detailed! Worth the price. Nice body shell I love it I recommend. Good quality, very nice body. Great product and looks awesome! Excellent product, beautiful details and superb transaction with Asiatees! Excellent product, it was exactly what I wanted and turned out sweet when it was done. 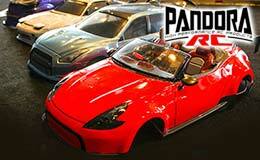 Pandora is well-known in the drift scene for their incredibly durable and scale bodyshells. Mainly used on drift cars, these beautifully put-together lexan bodyshells provide the right amount of protection to your cars, but still gives off the perfect scale look after you've painted it to your liking. 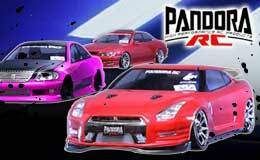 Highly customizable and fun to work with, Pandora bodyshells are something every drifter should try, 'cause we know you'll get hooked!